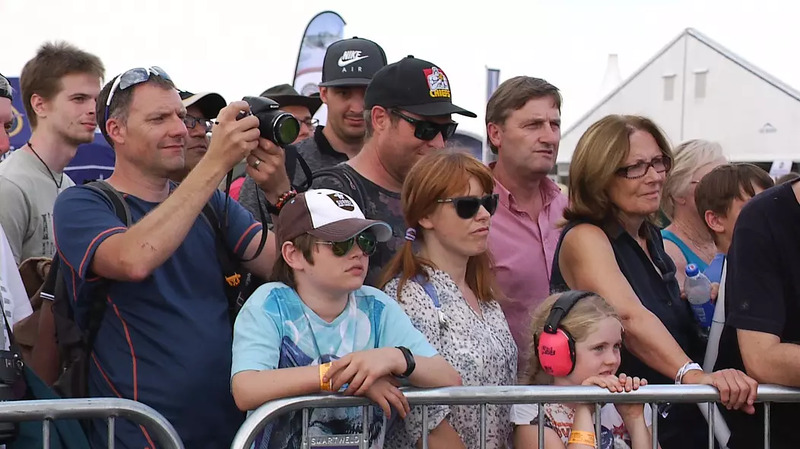 Three days following the commercial launch of his £340,000 jet suit in partnership with department store chain Selfridges, amateur engineer Richard Browning was in Hampshire on Saturday to show off his creation before thousands at the biennial Farnborough International Airshow. Earlier this week, Salisbury-based Browning announced he had penned an exclusive deal to sell tailor-made Gravity Jet Suits at Selfridges’ Oxford Street store in London. But its commercial run is unlikely to last long: Just nine of them were made available for sale and three mystery customers have already expressed interest in snapping some up. 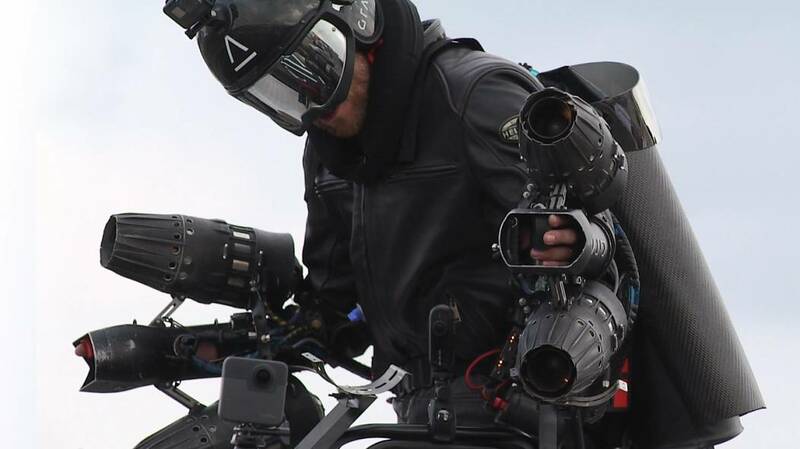 The 27kg suit can fly at altitudes of 12,000 feet (3,658 metres) for at least three to four minutes, and is assembled from 3D-printed parts. 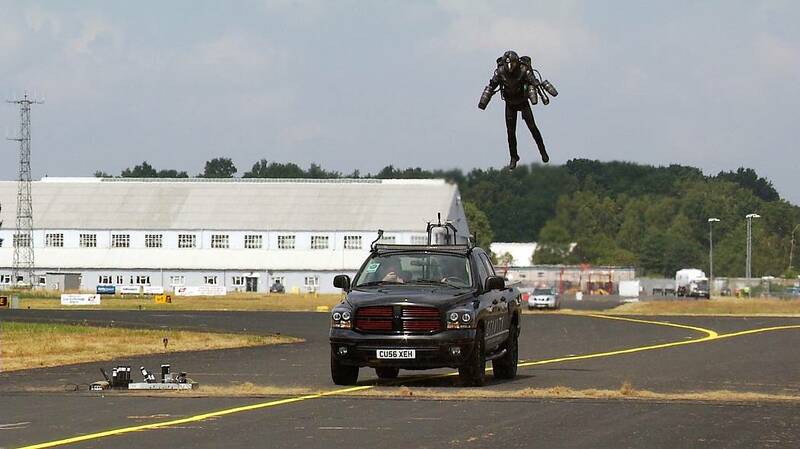 Five kerosene-fuelled gas turbine engines are fixed to the arms and back of its carbon fibre exoskeleton to provide 144kg of thrust for vertical propulsion, and once airbourne, the wearer can then manoeuvre in the air using body movement. But buyers of the suit who wish to emulate Marvel’s Iron Man superhero in the skies will not be allowed to fly it immediately upon purchase – mandatory training will be required. 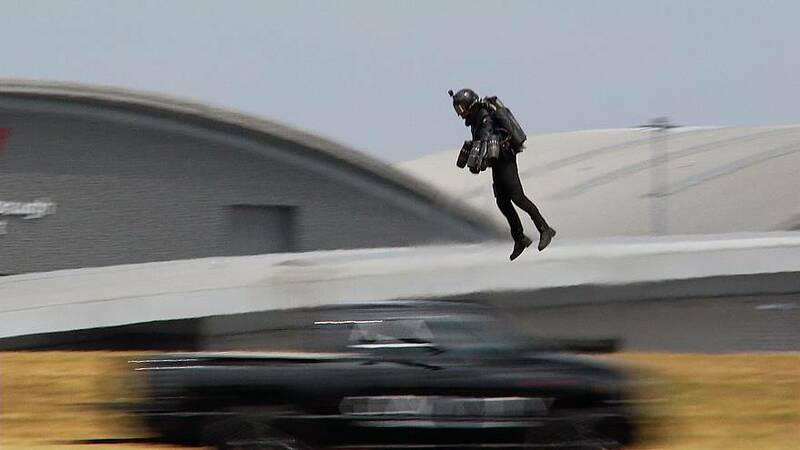 “There are three days of flight training thrown in with the purchase of the suit, and that’s to make sure that you’re competent and able to understand how to manoeuvre it around,” says Browning. The former royal marine reserve and commodities trader built his suit in the space of just 12 months. The 39-year-old took it on as a side project in March 2016 while working full-time at BP in Canary Wharf. “When I get asked what was the spark that started this, I think it’s really a deep, inner passion for seeing opportunities, ideas, challenges that deeply inspire me," he says. "So when I started to hatch the idea of, could you reimagine the challenge of human flight and put a human inside a vehicle could you add just the right amount of technology to fly in a very organic way – you could describe it like Iron Man but that wasn’t the original vision – then is it possible? Browning has since gone on to demonstrate his invention to millions around the globe, having appeared at 50 flight events across 18 countries and attracted tens of thousands of followers on social media. 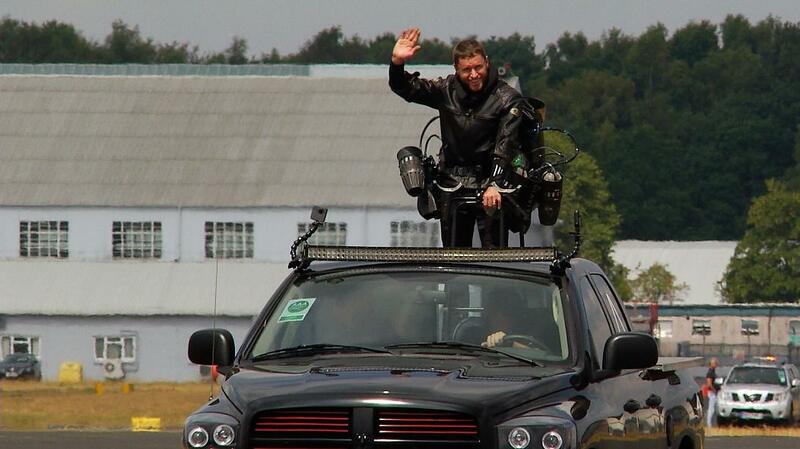 He has also managed to bag a Guinness World Record for the fastest speed achieved in a body-controlled jet engine power suit after he scaled a lake in Reading at just over 32mph (51.5 kmh). In theory, however, it is capable of breaking the sound barrier. As for what’s next, Browning has already wrapped up filming on Tom Cruise’s latest Mission Impossible movie and is in talks to work with the team behind James Bond. Individuals from the military and search and rescue industries have also been in touch. Yet sport looks to be next on the agenda.